I have suffered from depression for about 25 years. In addition, I was recently diagnosed with the HPV virus after an abnormal Pap and will be doing the LEEP procedure soon. I found myself in my early twenties feeling like something was terribly wrong with me- (lethargic, moody, stomach aches, constipation, sick all the time), had all the tests done and no doctor could find anything wrong. I ended up on antidepressants - the route you didn't take :) - 16 years of them. They did help for a number of years, but seemed to stop working awhile back. I got into therapy and discovered I had pretty severe PTSD from early childhood and I've been working on it with a therapist, which has helped immensely. The antidepressants don't seem to work any more and I'm trying to ween off of them completely. I still have stomach aches (really more like gas problems) all the time, don't seem to get sick as much as long as I keep my stress levels down and I'm easily constipated if I don't take supplements. I tell you this story so you understand I probably have quite a good deal of residue from the antidepressants in my system. As a result of my HPV diagnosis & the depression issues + digestion problems, I was doing research online about how to boost my immune system and came across your website. What a wonderful site you have created!!! I would like to say "thank you" for creating a site with so much wonderful information and it is so inspiring to see someone who has advocated for their own health the way you have. I got some pH test strips and set out testing my saliva and urine for almost a week now. My saliva has continuously tested 7-7.5, but my urine seems to be very acidic, testing 5.5-6. Over the last week, I have made a point of drinking more water (not enough though, approx 40oz/daily), adding leafy greens (raw kale & spinach) to my diet, and for the last 2 days I stopped having a cup of black coffee in the am (boy, do I miss it) and have replaced with hot water with lemon. I do like to have a glass of wine every other night or so, but I've heard it is really not good for the virus. I do not have a D deficiency, I tested out at 91 ng/mL recently, but I was deficient last year and I continue to take the supplements. I am wondering what your recommendations for me would be from here? I don't have a job at the moment, so funds are tight. However, I'm not going to let $$ alone stand in the way of my good health. I don't want to take a gazillion pills every day, who does? But I want to get the most out of what I'm taking. I am inclined to start one of the alkalizing supplements, I also feel I could use a B vitamin of some sort, but I'd love to hear your thoughts first. Blessings, and thanks again for your wonderful site! PS: I did try to do a cleanse at one point a few years ago- it was Dr. Schulze's intestinal cleanse. I got very sick during the second part which adds bentonite clay. I tried to do it twice and got sick twice (nausea, fatigue, etc) so I gave up. I strongly believe that depression and anxiety are diet related. If you are missing certain nutrients, your body will not be able to properly build the neurotransmitters responsible for keeping you feeling upbeat and happy. serotonin keep us from experiencing an anxious kind of depression. Enough catecholamines are needed to keep us from going into the more traditional apathetic, lethargic depression. An imbalance of one or both is incredibly common today. The problem is there are many nutrients responsible for building these neurotransmitters. Finding which one (or ones) you are deficient in is not an easy task. This is no means an exhaustive list – there are many others. Although I suspect folic acid would be one supplement you should definitely look into. I say that because you mentioned that your antidepressants stopped working for you. Low folate levels are strongly linked to poor responses to antidepressant drugs. You mentioned you were looking at B vitamins, which is certainly a good idea. But I find myself coming back to your stomach problems. Perhaps all of these conditions – the depression, PTSD, constipation, gas – are all related? I say this because a clean, healthy digestive tract helps keep our mood balanced. Did you know that almost all of our serotonin is made in our gut? Even more interesting in your case is that serotonin helps keep us from getting constipated (it plays an important role in peristalsis – see digestive system functions). Healthy digestion also plays a huge role in keeping our immune system strong. You will not be able to fight the HPV without finding the underlying cause of your poor digestion. If you gut isn't healthy, you will suffer nutrient deficiencies (like many of the B vitamins). I'm happy to see that you got your vitamin D levels checked and that you are now sufficient in this incredibly important nutrient. It's also good to see that you are testing your body pH. Your saliva pH is in the healthy range, but you do have some work to do to get your urine pH up. For an explanation on the differences, see my page on saliva pH vs urine pH. I see that you are taking a probiotic supplement too. How has it been working for you? If you haven't been able to tell a difference, it's time to try a different one. I like the probiotic formula from pH ion. I also take their prebiotic supplement (which is basically food for the beneficial bacteria). More information can be found on my alkaline supplements page. Have you ruled out the possibility of candida overgrowth? It's simply not possible to have a healthy digestive tract with candida albicans running rampant. Once you get to the bottom of your digestive problems, you will be able to boost your immune system to help with the HPV. I strongly recommend the book Digestive Wellness: Strengthen the Immune System and Prevent Disease Through Healthy Digestion, Fourth Edition . As for the HPV itself, check out my benefits of vitamin C page. Vitamin C is a powerful ally against all viruses. A vitamin C flush will give you information on how much of the nutrient you need. And finally, about the cleanse you tried - it's not surprising that you had side effects. When we cleanse our bodies too quickly, we can experience what is known as a healing event. Symptoms of toxins being released too quickly include headache, nausea, fatigue, dizziness, skin eruptions, fever, muscle aches, bad breath, diarrhea, and more. If you are not confident in what you are doing, the best thing to do is stop the cleanse and find a gentler detox program. Those of us with more cleansing experience look at these healing events as a positive thing. Hopefully this has been helpful to you. If you have any other questions, or if something I said isn't clear, use the comment link below. And thank you very much for the nice comments about my site! Join in and write your own page! It's easy to do. How? 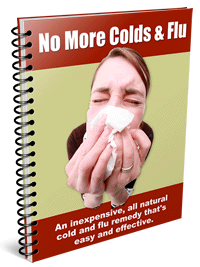 Simply click here to return to Boosting Your Immune System.